Two-thirds of UK IT professionals believe that security is mistakenly not viewed as ‘mission-critical’ by the rest of the business. This is according to a study of over 450 UK IT professionals by Ponemon Institute for F-Secure. Independently conducted research was commissioned to determine the technologies, controls and governance practices that yield the greatest prevention value when used by organisations to curtail security attacks or mishaps. The majority of respondents identified potential shortfalls in their organisations’ security procedures. Over half (59%) of respondents either do not have security and data protection policies in place or say they are not strictly enforced. Of those that have policies, 65 per cent believe that senior leaders are not supportive of security and data protection initiatives, and 68 per cent believe their organisation does not have the necessary resources to manage or limit serious security threats. When asked about the ‘return on prevention’ businesses achieve from various technologies, over half (55%) believed that anti-virus and anti-malware provide substantial return. Over half (54%) also highlighted its effectiveness for mobile devices, citing that the cost of implementation is low and the technology is deemed effective in stopping a large number of threats or attacks. Mobile malware is still very limited, but the risk is growing and will continue to do so, particularly with the arrival of netbooks and other tablet devices as fresh targets for attacks. 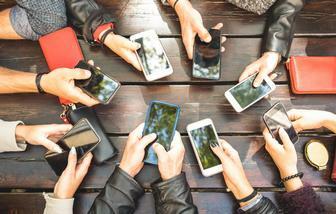 The risk will make mobile security increasingly important for companies with mobile workforces storing sensitive and confidential data on these devices. Interestingly, organisations within the financial services and technology sectors attached a higher rate of ‘return on prevention’ to security technologies such as web application firewalls and policy enforcement tools. “A well-executed security implementation can provide a cost-effective way of delivering value to the business and offer peace of mind to senior managers and staff,” concluded Tom Gaffney.